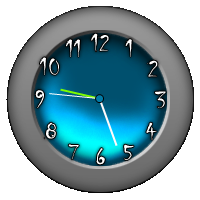 The BlueClock is a simple x64/x86 VB.NET clock application designed for the Microsoft Windows operating system. All Materials, Intellectual or Otherwise, Copyright © 2010-2019 PxO Ink. All Rights Reserved.